Take a busy mother, add a great idea for a home-based business, mix in some hard work, season with social media and you might just have a momtrepreneur. There’s no end to creativity where there’s passion and dedication. 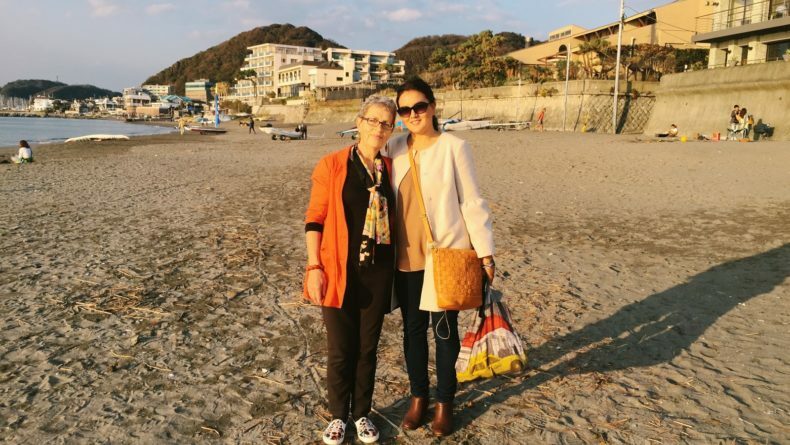 So we learn as we speak to four international women in Japan who have turned their interests and passions into successful businesses—and in one case, the business has now been turned over to an enterprising teenage son. 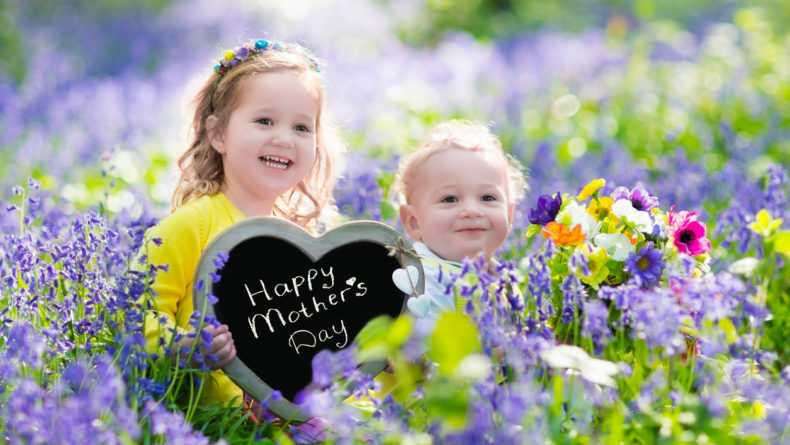 With Mother’s Day just around the corner, besides pure inspiration, you’ll also find some suggestions for unique gifts for that special person: your own mom, your best friend or even a treat for yourself. 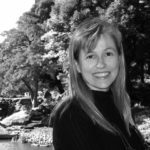 Erinn is an American mom of four kids living in Wakayama. Here she poses with her youngest son. Erinn has been selling her gorgeous custom handmade Japanese power stone jewelry and accessories since 2012, although she didn’t initially intend to make a business of her hobby. “It was quite accidental, actually. I simply wanted a piece of jewelry I had seen in a shop but couldn’t afford, so went to Pinterest, found a tutorial for recreating the style, invested $10 into basic materials and made myself a little bracelet. I posted the picture on my Facebook feed and said ‘I’m really off on a whim now!’,” she recalls. 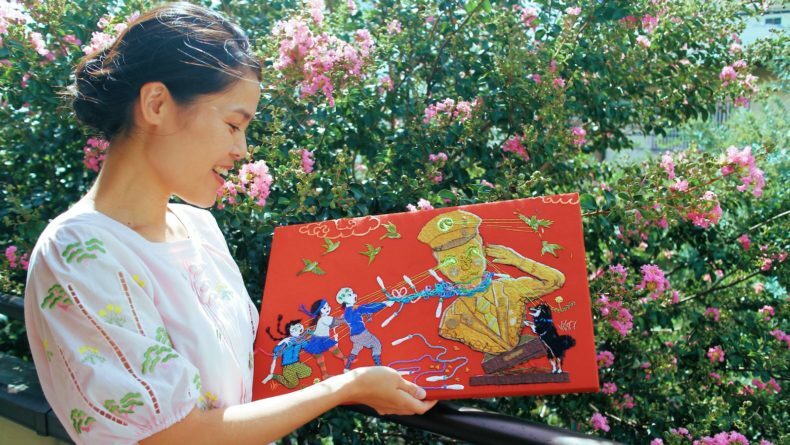 The enthusiastic response from her friends encouraged Erinn to take things to the next level, and now her creations are winging their way to all corners of the world. While Erinn loves being able to work with beautiful stones and materials, running and growing a business has meant setting boundaries, too. “More and more I am viewing Off on a Whim as a ‘job’, so I set my schedule up likewise. I work in the studio from about 8:30-6:30, with breaks for lunch and coffee. Now that the kids are older, I have more time to put into the business,” she notes. 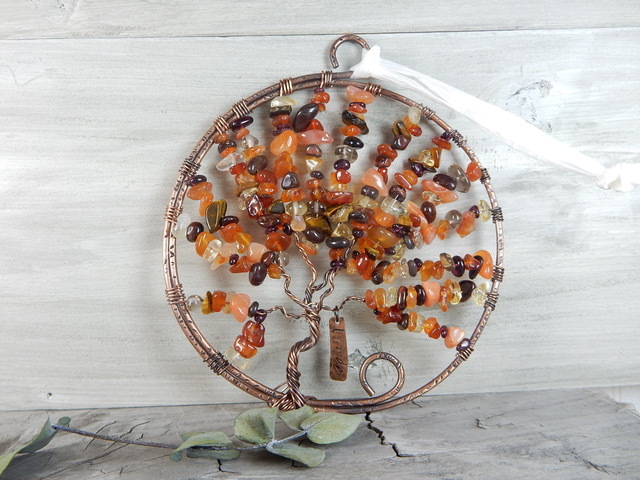 Recommended Mother’s Day gift: “My Tree of Life sun catcher and pendant series are especially popular around Mother’s Day. Easily customizable, many people request to add birthstones into the design as a special touch for mothers and grandmothers. 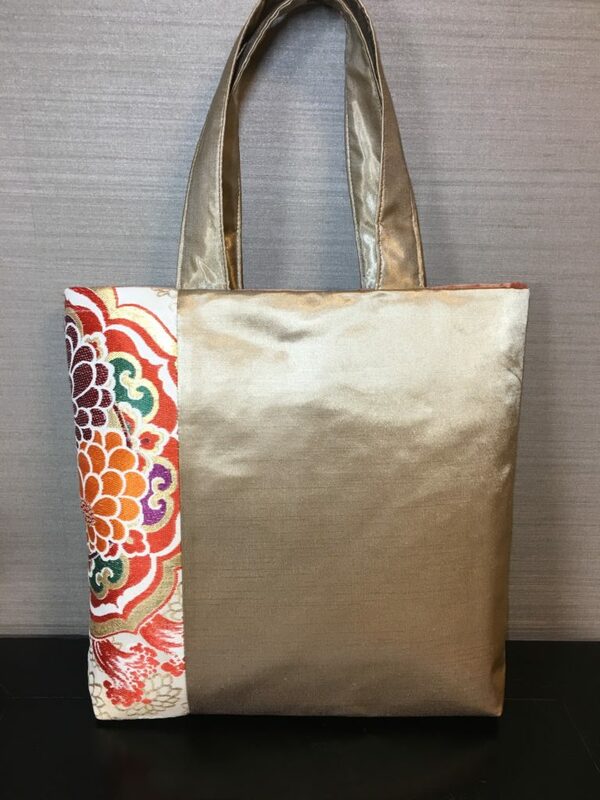 Since most of my work is custom-made, people usually write me directly via my website or Facebook to request them, which makes for an interesting final product every time.” To view more of Erinn’s products, see here. 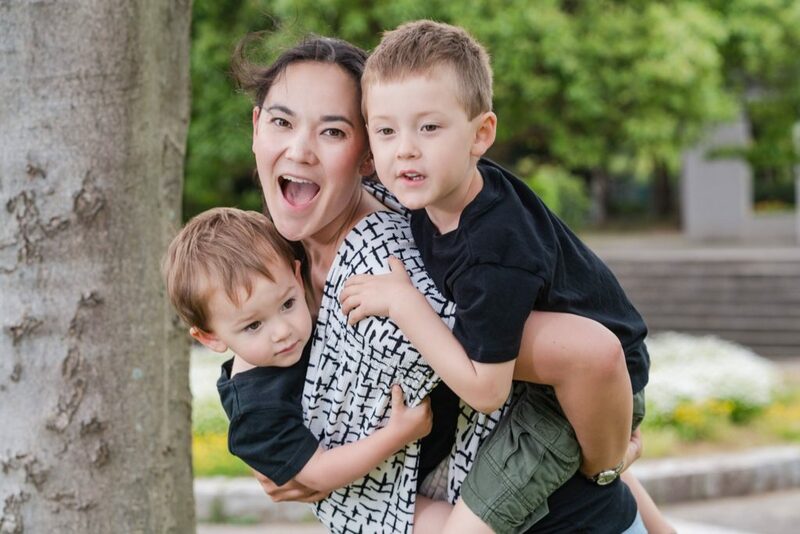 Alicia is a Japanese/American mom of two boys living in Tokyo. Under the name “Pikimama,” since 2012 Alicia has been producing colorful baby carriers which are both fashionable and fun, as well as very comfortable for both child and parent. 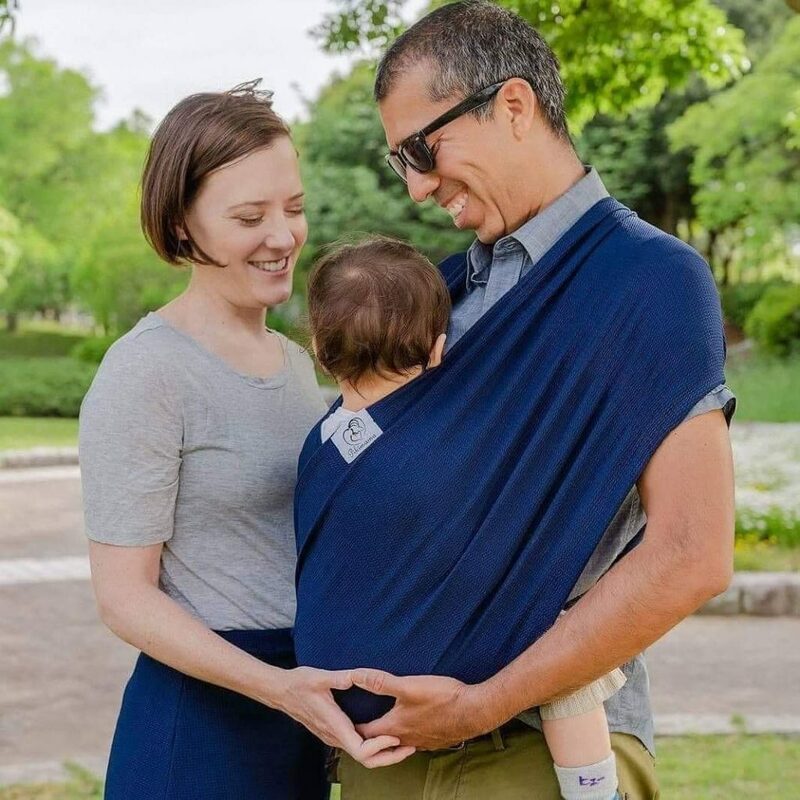 “The slings come in a variety of colors that fit various seasons, so parents have a wide selection to choose from. I also make matching accessories, such as skirts, shorts, diaper covers, and headbands. These accessories can be worn by all the members of the family to create a fun and coordinated look,” she explains. Of course, with two active little boys around, things don’t always go to plan, like when she bought a realistic baby doll as a prop for displaying her slings. “Unfortunately, my kids think it’s their toy and won’t give it back to me!” she laughs. Alicia encourages other women out there to develop their business goals: “If you have a great idea, go for it! 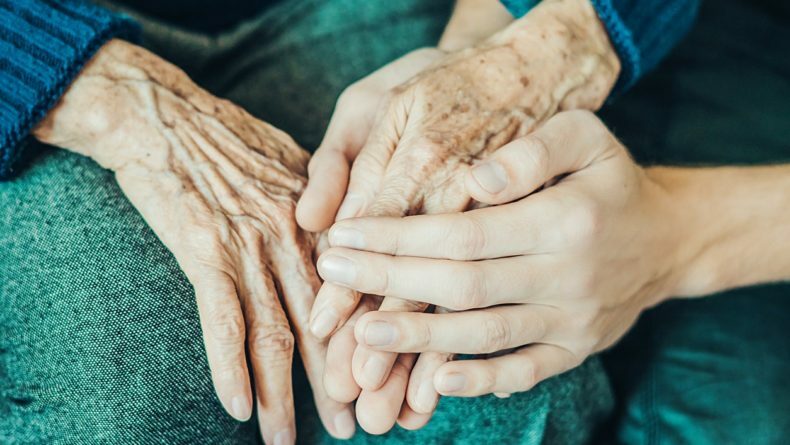 And it’s very important to have support from the people around you, especially emotional, physical and sometimes financial. Businesses don’t become successful overnight, and people have to live in the meantime,” she points out. 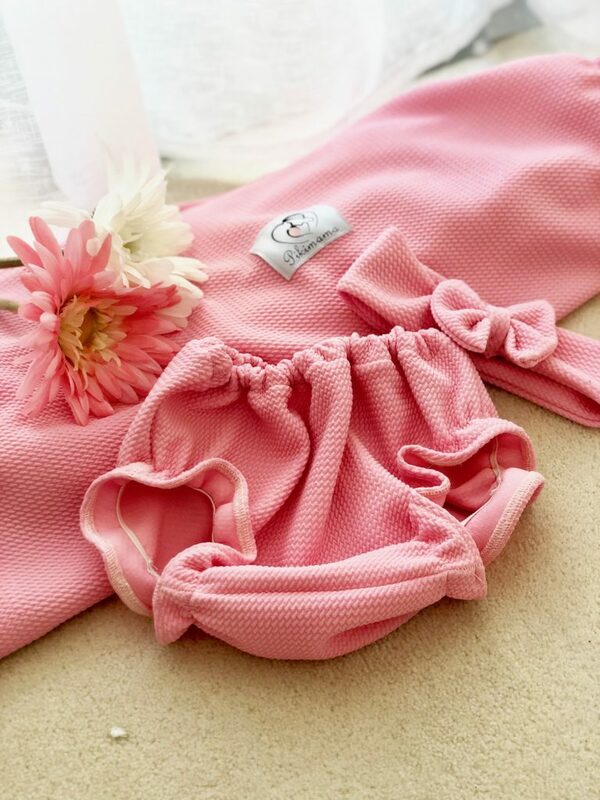 Recommended Mother’s Day gift: “I highly recommend my Newborn Gift Set, which includes a sling, a matching diaper cover and a head accessory. This set allows the new parents to be coordinated with their baby while staying close. Even grandparents use my sling to be close to their grandkids, so this gift set works for all generations!” For more information on prices and products, see here. 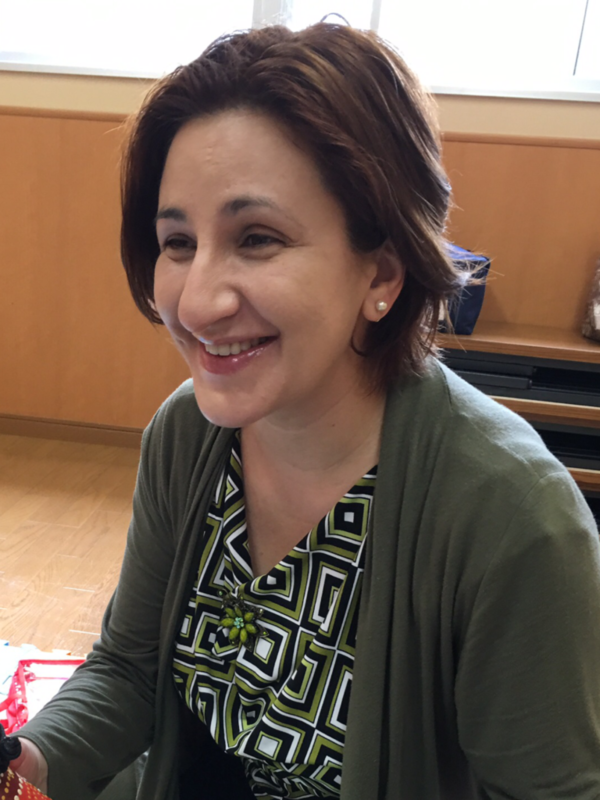 Jelena is a Serbian mom of two girls (16 and 13 years old), living in Aichi. 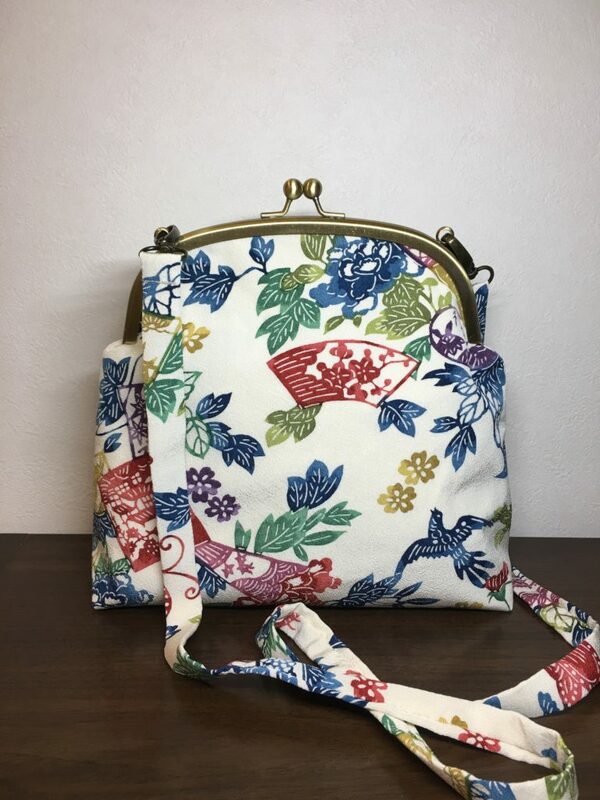 Jelena produces beautiful purses, pouches and other similar items, using mostly kimono and obi fabrics. As is often the case, what began as a personal hobby eventually turned into a business. “For a long time, I’d been making all sorts of things. Friends saying ‘You should sell this’ is what pushed me to step up from hobby to opening my shop online three years ago,” says Jelena, who gets a lot of pleasure out of designing and making each item. Jelena has enjoyed sewing since she was a small girl, making clothes for her dolls and teddy bears. On coming to Japan as an adult, she developed an interest in Japanese materials and design. She believes that having “flexible boundaries” has been a key point in helping her juggle things, fitting her business in between her day job, school visits, cooking meals, and all the myriad things moms do. 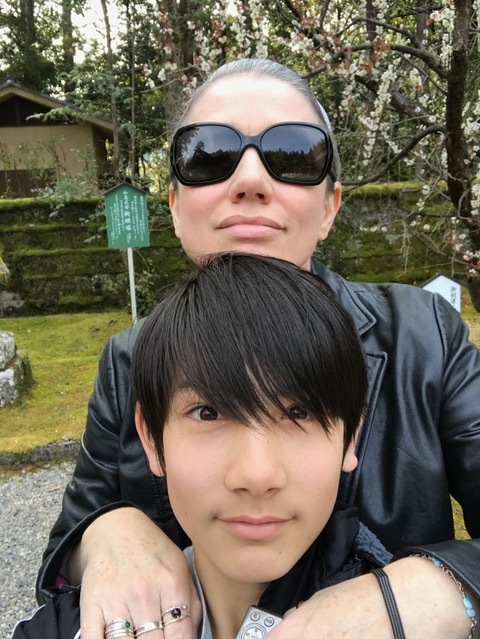 Sarah is an American mom of two teens, living in Aichi. Here she poses with her son Taika. Here’s a momtrepreneur story with a twist—what began as mom’s business has now been taken over by her teenage son! For his part, son Taika says he has gained a lot through the experience. 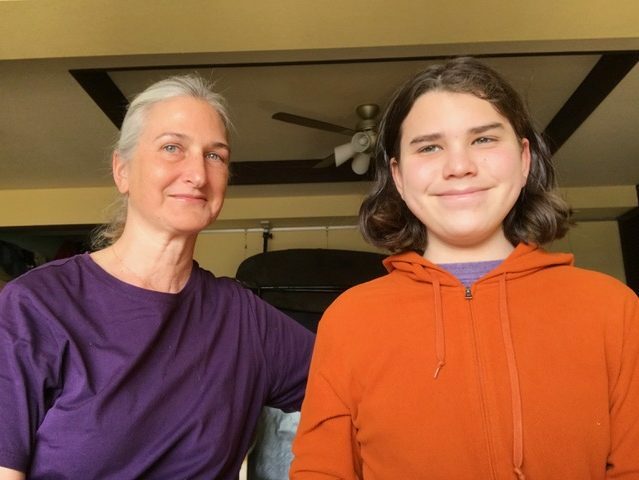 There have been challenges for this young “sontrepreneur,” but with the World Scout Jamboree coming up soon in the USA, the effort is all worthwhile. 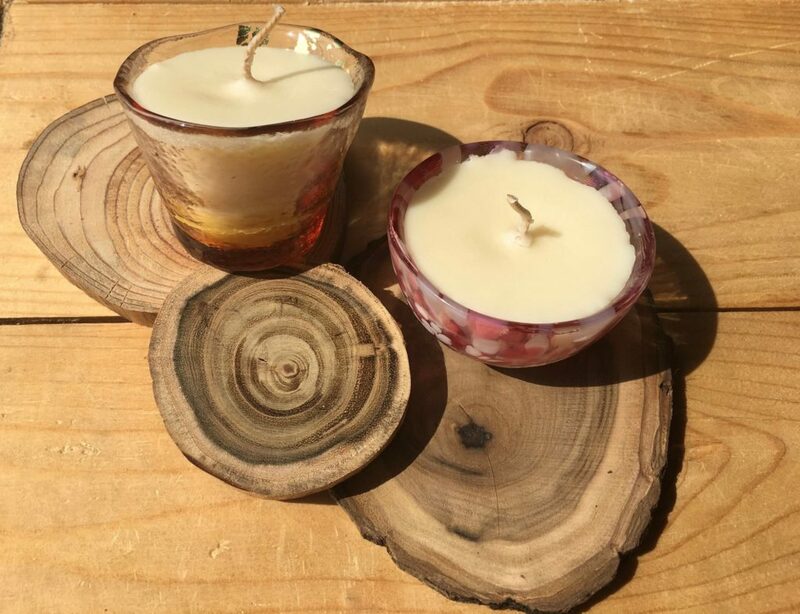 Recommended Mother’s Day gift: A set of chestnut holder and four unscented tea light candles. 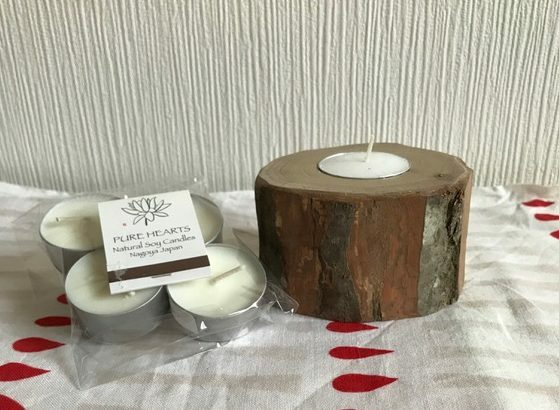 For other products, check out Pure Hearts Candles’ Facebook or Instagram page. Know an inspirational momtrepreneur around you? Let us know!